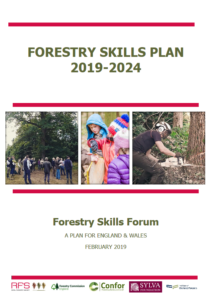 The Forestry Skills Forum has produced a five-year plan to promote education, skills, learning and development across the forestry sector in England and Wales, while maintaining close links with the equivalent group in Scotland. Each theme has several work strands. The plan takes each theme in turn and develops their work strands into action plans. The plan is owned by the Forestry Skills Forum, and delivered by the Forum members. It is hosted on the website of the Royal Forestry Society. The Forestry Skills Forum is dedicated to promoting education, skills, learning and development across the forestry sector in England and Wales, and maintains close links with the equivalent group in Scotland. Members comprise the sector’s leading authorities, charities, companies, educational institutions and training providers. They represent all areas of the sector, including employers, trade associations, education providers, funders, research centres, and include specialists in all age groups: early years, primary, secondary, further and higher education. The FSF is an independent group, supported by Forestry Commission England. We are running a series of one-day timber-framing and raising courses at the Sylva Wood Centre, run by the Carpenters’ Fellowship. Come and learn jointing, framing-up, hand-rearing roof trusses, and fitting purlins and ridge pieces using traditional tools and techniques. 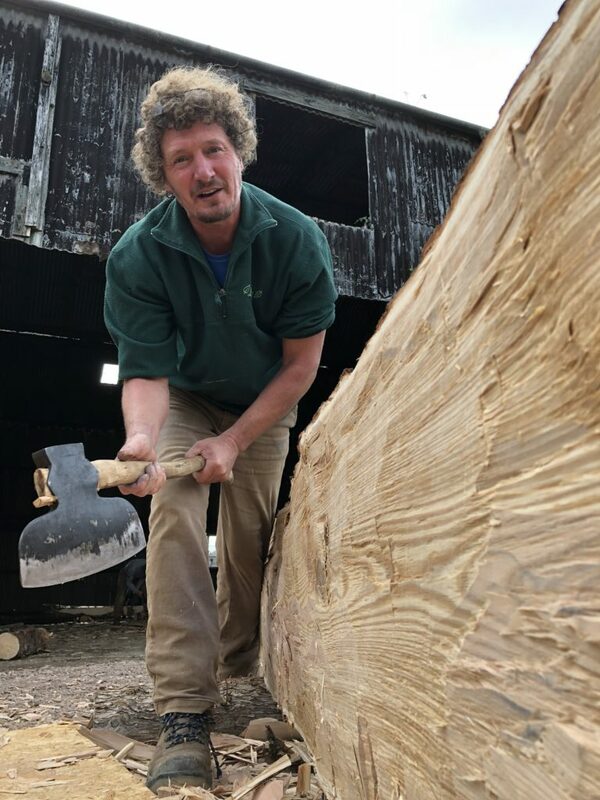 During this unique timber-framing and raising course you will develop skills and knowledge in the making and raising of a timber-frame using traditional tools and techniques. You will be working alongside highly-skilled craftspeople, helping to make and raise the timber frame of the House of Wessex during the course. Each one-day course is one of five courses being run between 3rd and 7th July. You may book on more than one day by simply registering separately for each day. Please note that the work will be physically demanding, so please take this into account before booking multiple days! At the conclusion of the five days, the frame will be complete and ready for fixing of wattle hurdles on the roof, and other stages of construction including thatching (also offered as a course). Full training will be provided (no prior experience necessary). The course will be outdoors in all weathers, so you will need to wear appropriate clothing (sun and rain). Drinks and hot food will be provided, including breakfast, lunch and dinner. Overnight camping (bring your own tent) may be available on the site, or locally. More details will follow your booking. In addition, a programme of evening events (i.e. beyond the end of the formal course) will take place across the five days (3-7 July). The exact nature of these on any particular day will vary, but may include a range of talks on relevant craft and history, and social events. 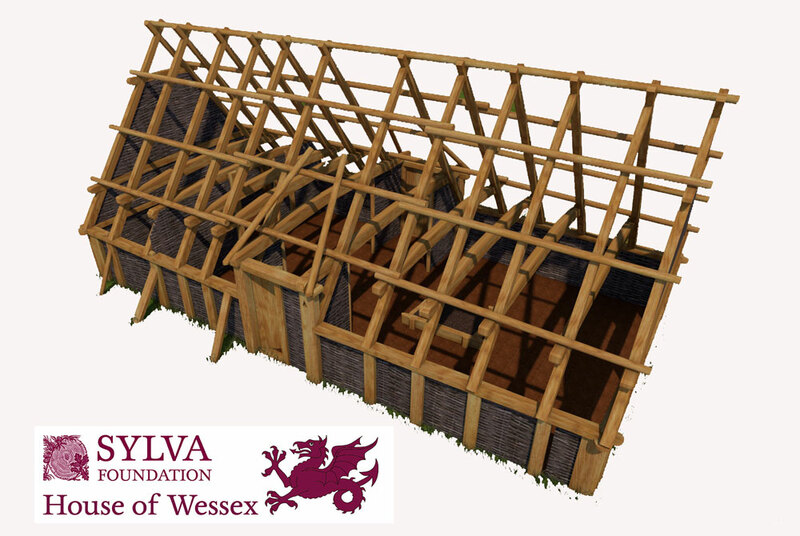 Learn about traditional and sustainable early thatching methods, including those to be used on the live reconstruction of the Anglo-Saxon, House of Wessex. Led by Alan Jones, Conservation Carpenter and Master Thatcher, a leading thatcher in experimental archaeology and historical reconstructions since the early eighties. Each of the five one-day courses is centred on the thatching on the newly reconstructed timber House of Wessex at Sylva Foundation, south of Oxford. You will learn how to use the materials and techniques to be used on the roof including laying turf over wattle hurdles, processing straw into yelms and bundles spar coating the thatch, dressing with a Leggett and gaining the required depth of fixings and overall depth of coat work. The course will also include slide show and talk about evolution of our relationship with cereals as a food and shelter crop. There will be the opportunity to mill grain into flour and taste bread made from the wheat straw from the roof. Lecture of history and development of thatching in the UK. Handling and processing the straw. Applying turf to the hurdles. Learning techniques for applying thatch to the roof at required thickness. Spar coating the straw securely into position. Dressing of the thatch to gain the desired shape. We are offering five one-day courses, run back-to-back. We are pleased to offer a special discount if you want to attend all five days. Five days for the price of four, at only £300. Offer only available by phoning us. Please contact us on 01865 408018 to book for all 5 days, and have your payment card ready.